Not really, of course, but everyone who takes sure does like to complain about it. The email usually arrives mid-week, bringing the bad news for the weekend. The weekly Transport for London tube closures for the upcoming weekend. When last Wednesday's email arrived, I realized it looked like it was going to be a bad weekend for getting around on the Isle of Dogs. 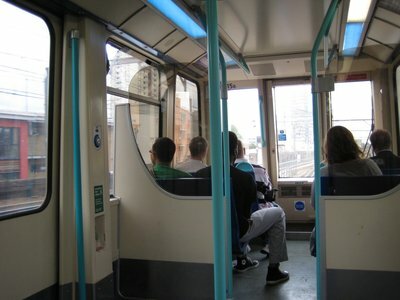 The Docklands Light Rail (DLR) was going to be shut down all weekend. The Jubilee line, the only London underground route serving the area wasn't running eastbound from North Greenwich towards Stratford. Bad news a day later when the BBC reported that two of the unions who represent bus drivers in London were going to be striking from Friday night through to Sunday morning, affecting 3 of the 5 bus routes that run close to my house, impacting services even more. "Gonna be damn hard to get around this weekend," I said to one of my flatmates, giving him a rundown on the weekend's closure. "Ah, that's going to make it bloody difficult to get to my golf game on Sunday," he said, ending with what has become a bit of a mantra for anyone living here. "Goddamn TFL!" 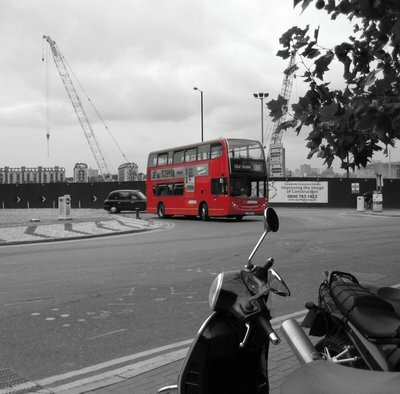 TFL, short for Transport of London, is the city agency responsible for all the transportation in London. If you move anywhere in London, whether it be by bicycle lanes, roads or rails, and whether the vehicle carrying you is a car, bike, taxi, bus, tube or train, TFL most likely has a big hand in making your ride what it is. When you pay your congestion charge, tap your Oyster card when getting on the train or watch the taxi metre count up, it's the TFL that set your rates. Because of this control, they make a pretty easy punching bag for anyone trying to get around in London. To be sure, there is a lot to complain about. Firstly, the tube trains are incredibly hot. I come from a city with air conditioned subways, and so arriving in London in the height of summer and riding in the hot trains in the stiflingly still air of the deep tunnels, drenched in sweat and crushed against your fellow travellers was a bit of a surprise to me, and I soon found myself wishing for a cool train and a seat. If that doesn't get your blood boiling, then no doubt the constant shut downs and delays will probably get you. Every weekend since I have arrived a number of lines, especially the Victoria, Jubilee and DLR have been partially or fully shut down. Beyond that, every day seems to find at least one line suffering "severe delays" due to signalling problems, which is especially distressing during rush hour, when hundreds of thousands of people are trying to get around using the underground, overground and national rail running through the city. 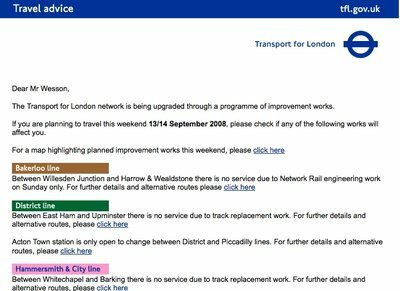 National Rail, which is in fact a collection of a number of companies running franchises serving the suburban commuter and intercity trains, has it's own problems, from stations needing to be completely rebuilt to track works shutting down lines to some destinations completely at times. Having only been here a short time though, and coming from Toronto, I have a different perspective than the long time Londoners. Sure, you'll find me cursing TFL from time to time, like on Saturday when I had to backtrack 20 minutes upon learning that a bridge crossing the Millwall Dock was closed for construction on a DLR station, or this morning when I sat for 10 minutes outside of Bank station waiting for the DLR train to pull in, backed up due to the omnipresent "signalling problems." Despite my curses these past few days, I come from a city with four subway lines covering 68 kilometres of track. London, by contrast, has 400 kilometres of track. Toronto's subways and buses are run by the TTC. Commuter rail in Toronto is run by GO Transit, and intercity trains by Via Rail. There is no integration between these three services, in either fares or scheduling, nor is there any integration between Toronto's transit and it's neighbouring cities. London, on the other hand, is well integrated. Sure, it's expensive and you often have to pay additional charges when transferring between modes of transit (i.e. bus -> tube, tube -> DLR, tube -> train), but you can all do it with one card - the Oyster card, and the schedules seem to match up pretty well. The biggest difference between Toronto and London though, has to do with what was closing those lines all weekend in London. Construction. The last subway to be opened in 2002, a 5.5 kilometre stub running along the north of the city. Toronto has plans to build more subways and light rail projects, but right now they are just lines on a map, and Toronto's history has seen lots of lines on a map. London, on the other hand, is growing. 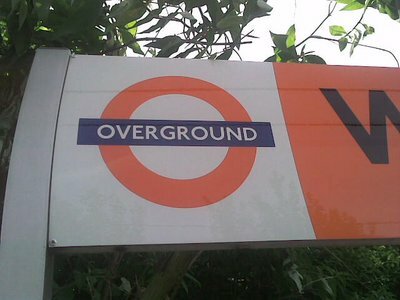 While there haven't been any tube extensions since 1999, the DLR expanded most recently in 2005, and an extension is currently under construction, and the London Overground, a commuter rail service run by TFL is expanding rapidly to expand from 4 to 5 rail lines. Other rail services are getting upgrades as well. 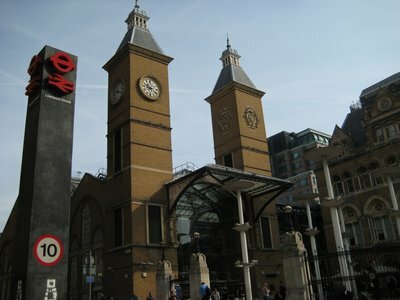 Thameslink, the north-south train line through the centre of London, is getting an upgrade to allow longer trains. The most ambitious scheme, though, is Crossrail. Crossrail is a £16 billion dollar plan to electrify the east-west railway from Maidenhead in the west to Shenfield in the east, and create a tunnel through the centre of London connecting Paddington station in the west end of London to the east-end of London, with one line heading north of the river to Stratford and on to the coast, and another line heading south of the rive to Abbey Wood. The plan calls for a tunnel running under the centre of London with stations at Paddington, Bond Street, Tottenham Court Road, Farringdon, Liverpool Street, Whitechapel and my current home on the Isle of Dogs. 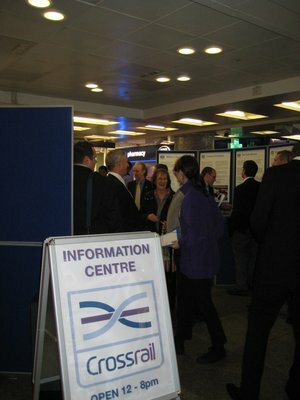 I checked out the Crossrail information session today at Liverpool street station and picked up some literature on the project. 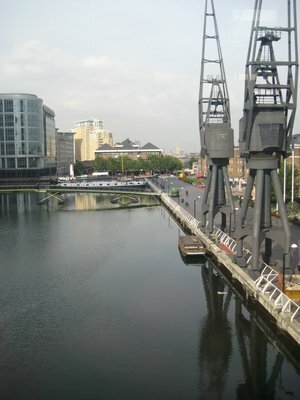 The Isle of Dogs station is set to be built underwater in the West India Dock, right in the middle of the water in the picture below. The tunnelled section will be about 22 kilometres long, and will have to be tunnelled through the existing spider web of existing tunnels for trains, tube and cars already under the city. When complete (projected for 2017), the line will provide up to 24 trains per hour through the centre of the city, and with a link down to Heathrow, provide much better transit to London's main airport from the east-end. If things go according to plan, in less than 10 years London will have a completely new, high frequency service through the centre of town. Toronto, via it's MoveOntario 2020 plan, is hoping to add similar cross-town services to Toronto by 2020, though with funding disagreements between the city, provincial and federal governments, who knows what will happen. So to my London friends, don't complain too much. London really does have an excellent public transit system, and with constant upgrades and extensions going on, it is only getting better. When things get bad, try and grin and bear it. It could be a lot worse. ...now if they can just figure out how to put air conditioning on the tube lines.